The teaser of the Sanjay Dutt biopic Sanju, starring Ranbir Kapoor, was released on Tuesday and much like the colourful life of the star, this teaser too was quite an exciting watch. 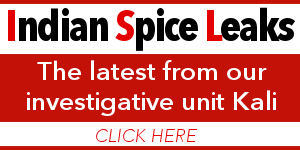 The controversies surrounding the life of Sanjay Dutt have been in public knowledge for quite some time now. In this film, Ranbir Kapoor will be seen essaying the role of the controversial superstar. But what is it about his life that forced a storyteller like Rajkumar Hirani to helm a biographical film on the actor? Here’s recapping Sanjay Dutt’s life and who knows if we’ll get to watch all of this and more when Sanju releases on June 29. 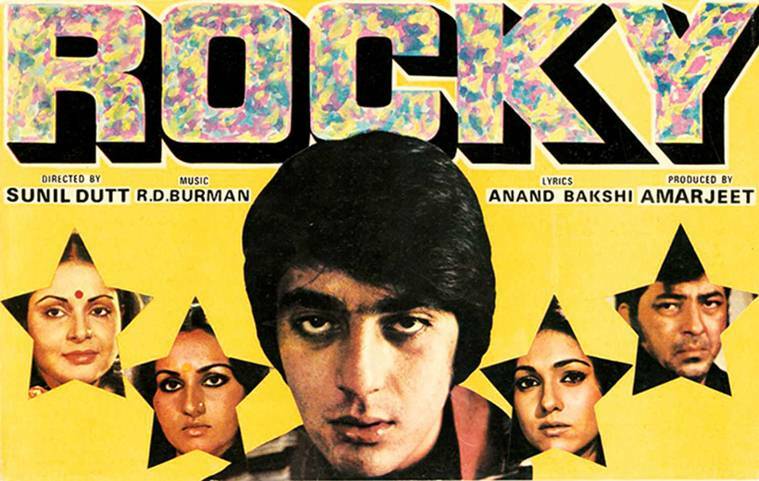 Sanjay Dutt, the son of popular actors Sunil Dutt and Nargis, made his debut with Rocky in 1981. The film was directed by his father and was a launch vehicle for the star kid. In the BBC documentary To Hell and Back, Sunil Dutt shared that Nargis really wanted to attend the premiere of her son’s debut film. The actor had even said that she will go even if she has to go on a stretcher but unfortunately, she passed away just days before the premiere. This was a huge setback for Sanjay Dutt whose launch in the movie world came with a cloud of sorrow. It is said that it was his mother’s death that triggered his drug addiction. Sanjay Dutt made his debut with the 1981 film Rocky. He featured in a number of films after Rocky which include Vidhaata (1982) and Zameen Asmaan (1984) among others but it wasn’t until Mahesh Bhatt directorial Naam (1986) that Dutt was taken seriously. By this time, Sanjay Dutt had gotten notoriously infamous for his brat behaviour. His drug-laden lifestyle that led him to a drug rehabilitation center in the US had also become public knowledge and he was known as the bad boy of Bollywood. Sanjay married Richa Sharma in 1987. The two have a daughter, Trishala, who currently resides in the United States with her grandparents. Even though he was a married man, there were rumours floating around that Dutt had an extra-marital relationship with Madhuri Dixit at the time. Neither of them ever confirmed the existence of this relationship but it was said that the two were deeply in love. Sanjay and Madhuri starred in films like Khatron Ke Khiladi (1988), Ilaaka (1989), Kanoon Apna Apna (1989), Thanedaar (1990), Saajan (1991) and Khalnayak (1993) among others and it was their camaraderie on the sets that led to such speculation. Films like Sadak (1991), Yalgaar (1992), Gumrah (1993) cemented his position in Bollywood but things were about to get rocky soon. Khalnayak (1993) was about to release when Sanjay’s involvement in the 1993 bomb blasts of Mumbai (then Bombay) started doing the rounds. 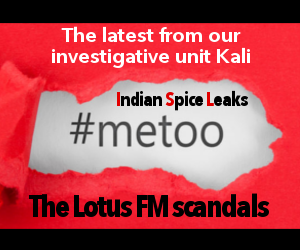 Sanjay’s connection with the underworld came under the radar and since he was already known as a brat, it didn’t come as a shock to many that Dutt was involved in a heinous crime. He was arrested under Terrorist and Disruptive Activities (Prevention) Act or TADA as weapons like AK-47 had been found in his possession. 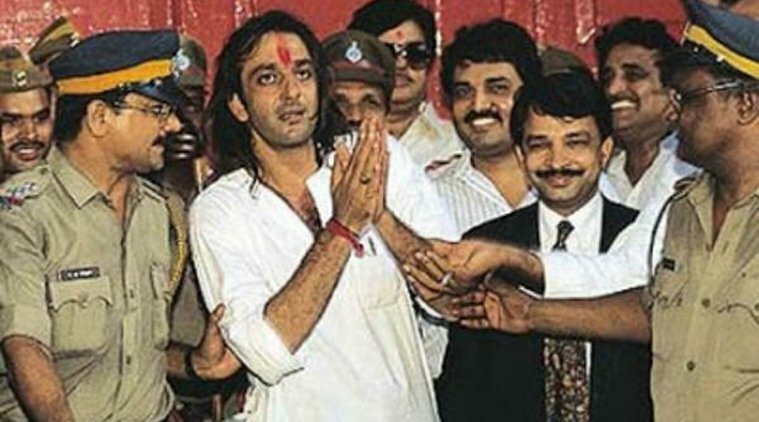 Sanjay Dutt was arrested under TADA. Sanjay Dutt was subsequently caught in the web of court proceedings as he was jailed for his involvement in the bombings. In 1996, his wife Richa Sharma passed away due to a brain tumour. In 1997, Sanjay made a comeback to the movies with Ram Gopal Varma’s Daud (1997). Though Daud was not a success at the time, Sanjay followed it up with hits like Kartoos (1999), Haseena Maan Jaayegi (1999), Khoobsurat (1999) and Vaastav: The Reality (1999). Vaastav is still considered as one of Sanjay’s best performances till date and it also won him his first Filmfare trophy. Sanjay surprised his fans and shut his critics when he was back on top after a few trying years. Sanjay Dutt married model Rhea Pillai in 1998 but the two parted ways in 2005. Sanjay did films like Jodi No.1 (2001) and Kaante (2002) and was receiving all the love from the audience but Rajkumar Hirani’s Munna Bhai M.B.B.S. (2003) changed the way he was seen by the world. The role of a don who means well changed Dutt’s perception dramatically. After the success of this film, Sanjay was seen in hits like Parineeta (2005) and Zinda (2006) among others. The next film in the Munnabhai franchise, Lage Raho Munna Bhai (2006), made him the audience’s darling one more time. 2005 was a trying time for Sanjay as his long-standing pillar of support – his father and veteran actor Sunil Dutt passed away. 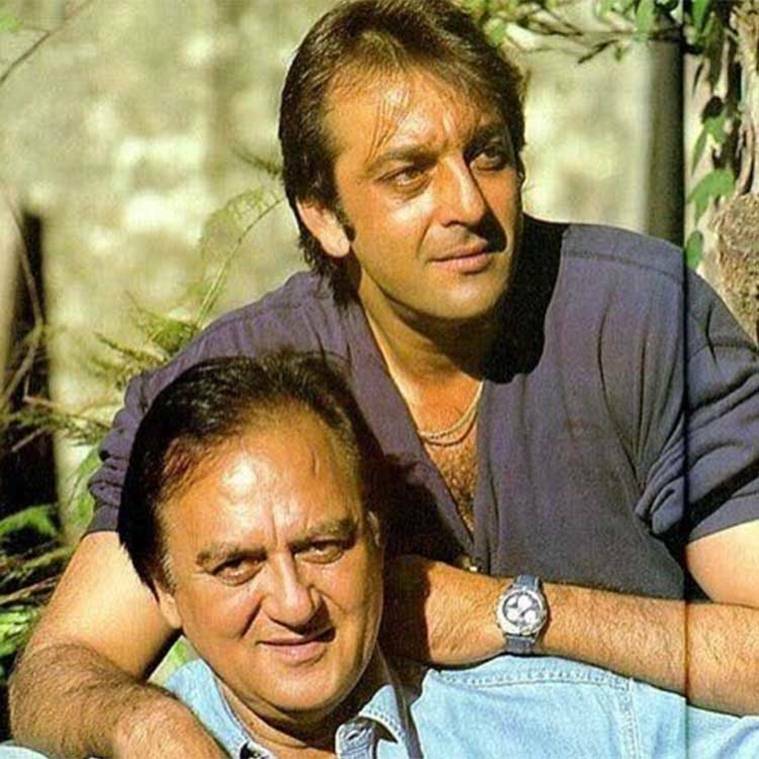 Sanjay Dutt’s father, veteran actor Sunil Dutt passed away in 2005. Sanjay Dutt married Manyata Dutt in 2008. The two became the proud parents of a boy named Shahraan and a girl named Iqra in October 2010. Sanjay was doing extremely well in his career until the hearings for the 1993 Mumbai bomb blasts started again. 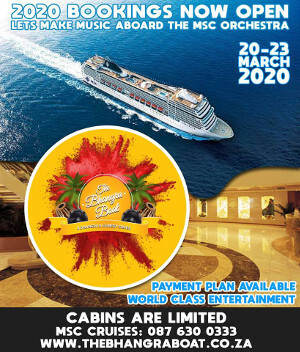 He featured in films like Dhamaal (2007), All The Best: Fun Begins (2009) and Agneepath (2012). His performance and look in Agneepath was loved and appreciated by all. It was during the shoot of Rajkumar Hirani’s PK, that Dutt was sentenced to prison again. He finished his ongoing assignments and could not start any venture until his sentence was finished. PK released in 2014 and Dutt was serving his time in prison then. He came back to the silver screen with Bhoomi in 2017 and has a lineup of films like Kalank and Panipat to look forward to. Sanjay Dutt’s life is no less than an adventure story which sounds like a fictional tale. From coming out with his experiences with drugs to accepting that he went to rehab, his run-ins with the law and his eventual stardom that still makes him a mass favourite, Rajkumar Hirani has certainly picked an interesting life to turn into a biopic.